Next to the season itself, this is one of Papa’s favorites times. 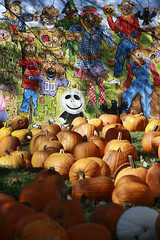 He LUVS having friends and family over to test out the attractions and new additions to Papa’s Pumpkin Patch. One of the new twists for the Zoomin’ Zip Lines is a swing seat instead of the overhead trolley. It looks like the swing is a hit for this papa/son pair! 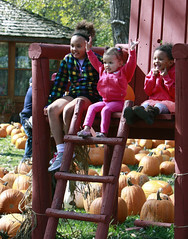 The Zoomin’ Zip Lines will be open on weekends from 12-5 pm and cost $1/ride. They will also be open Thursday evenings from 5-7 pm. This year, Papa has three “big” zip lines — each with a different way to fly through the air. He also has two Wee Zip Lines for the little ones who want to try zipping…with a parent or family member near by. 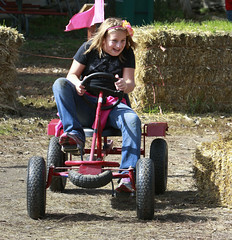 The Wee Zips are open daily and are free. Previous Post Just 10 Days Left and Papa’s Got the Bales in Place! 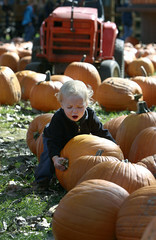 Next Post Papa’s Pumpkin Patch Opens 1 Week from Today!